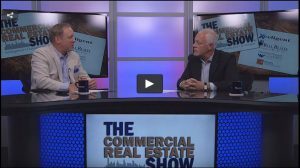 John Harrison, VP National Retail Group at Bull Realty, joined me recently on The Commercial Real Estate Show to discuss retail property values, buyer trends and tips for buyers and sellers. The suggestion that values have peaked and we are at the top of the market seems apropos for retail. 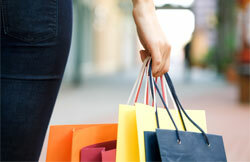 Harrison said that he is beginning to hear that opinion from both buyers and sellers in the retail market in Atlanta. The backstory is that there has been a lot of capital chasing real estate over the last several years and “cap rates have reacted accordingly,” said Harrison. Centers that were selling at 8.25% cap rate a year or year and a half ago are selling at a 7.5% or 7.75% cap rate today. Harrison said that he believes that the spread between cap rates and interest rates will continue to shrink as interest rates rise meaning that there’s not a lot of capacity left for compression. However, the market is stable in the sense that buyers know where the cap rate averages are and seller expectations about further cap rate compression have been reduced. Sometimes in this business it’s all about expectations. Private equity funds are still buying core assets. 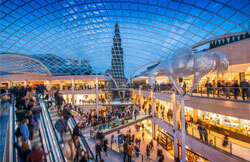 An example is one of Harrison’s national buyers that likes to buy around malls, outside of core areas and want properties on the best street but they will buy a property that may not have been fulfilled on leasing yet. “So they inherit risk and pay for opportunity to create value over time,” said Harrison. This same type of buyer who would have only paid strong caps for a fully leased property years ago are now looking at opportunities that are coming out of the cycle that may not have been fulfilled yet, but will be one day. The fact that buyers are taking on more lease up risk than they would have in 2003-2005 is an indication that buyers have adjusted in order to increase yields. Many buyers have also begun investing in secondary and tertiary markets, as there are opportunities to invest for better yields. Private equity funds are paying cash but they will place debt on properties later. Private investors and a number of foreign investors are choosing conduit or bank debt. 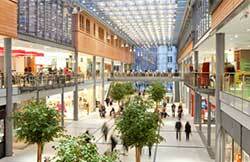 “Plenty of money to finance shopping centers right now,” Harrison said. With 4.5% interest rates and cap rates at their lowest, it makes sense to put some leverage on an investment. 1. Focus on your tenant mix and leases. Specifically, leases from 2010 may contain concessions that landlords just aren’t giving anymore. Also, look at co-tenancy issues and exclusives that were given and weigh them as part of the investment and risk you are inheriting. a) Co-tenancy is when an anchor tenant leaves, another tenant has the right to get out of their lease or other rights like reduced rent. b) Exclusives mean that tenants might not be able to sell certain things because another store has an exclusive right to sell. 2. Look at neighborhood, surrounding areas and ease of access. His tip for Sellers is, “Be organized, have your files ready, and take care of preventative maintenance first.” Oh, and call Bull Realty. The time for buying and selling property is certainly important. In fact, with any investment, finding the best time to make a buy or sell I so important. The best time to buy is when a property hits the market that fits the requirement at the right price. One can have a peek here http://www.topperrealestate.com to know more about real estate.